Expires in 3wk . Last validated 1mo ago . Used 5 times. José Rodriguez I am re-activating that this deal works as described. 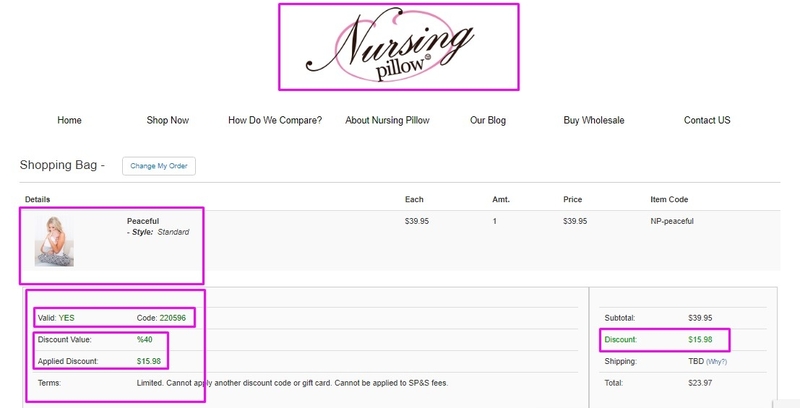 Just type the promo code into the promotion code box and click apply to enjoy the promotion. 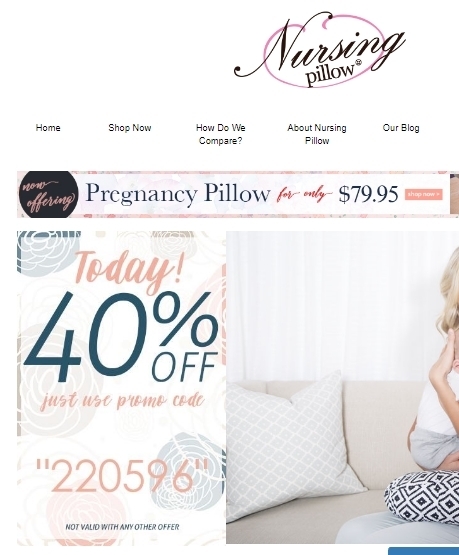 Allen Miller 40% Off Everything at Nursing Pillow (Site-Wide). Tested this promo code and verified that it works as described. Use promotional code 220596.